Gary made an outstanding and unprecedented contribution to the Australian co-operative movement, providing detailed histories of consumer co-operatives, agricultural co-operatives and credit unions. Gary leaves crucial intellectual resources to Australian co-operators. He documented both the successes and shortcomings of Australian co-operatives with passion and critical support. The Business Council of Co-operatives and Mutuals wishes to extend our condolences to Gary’s family and friends. 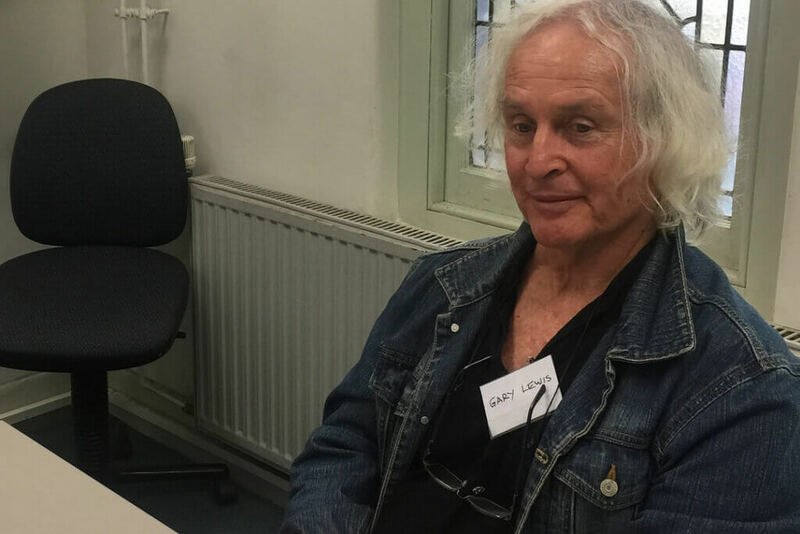 For over thirty years Dr Gary Lewis researched and wrote about the Australian co-operative movement. Co-operatives were his passion and his life. Largely, financially self-supported, and with the help of his wife and family, Gary undertook his ‘mission’ with intelligence, determination, humility and compassion. Almost single-handedly, he set about writing the movement’s history. From initially examining the place of Rochdale consumer co-operation in Australia – the subject of his PhD – though to his later histories of agricultural and credit co-operatives. He also added, later in his career, a historical novel of the first world war to his non- fiction output. model to help solve their needs when both government and the market had let them down. which deserve to be better known. There are many lessons in his work for present-day co-operators. Better understanding the key role of effective governance and democracy within co-operatives. Appreciating the critical role government policy and legislation plays in creating a supportive environment for the development and sustainability of co-operative businesses. Importantly, Gary also records one of the main lessons of history for the co-operative movement in this country – the need to create and support national apex structures which can help lead the movement forward. All Australians owe Dr Gary Lewis a deep debt of gratitude for making the study of co-operatives his life’s work. Dr Gary Lewis at the BCCM ‘The Future is Co-operative’ event in Melbourne, April 2017. 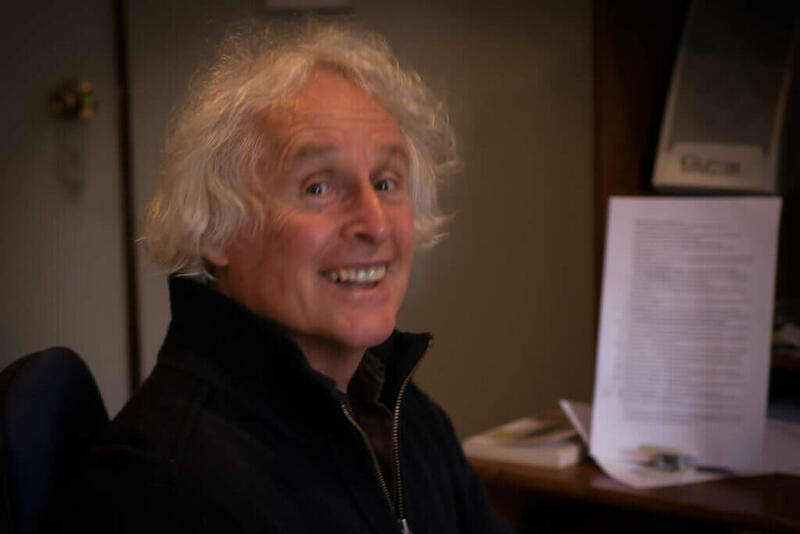 Gary Lewis was the doyen of Australian co-operative history with publications that include path breaking studies of consumer co-operatives, credit unions and agricultural co-operatives. His research is crucial for both public policy and historical research such as the Visual Historical Atlas of Australian Co-operatives. His recent submission and evidence before the Senate inquiry into co-operatives and mutuals highlighted his continued belief in the sector and its contribution to Australian life. His notes were recently deposited in the Chamber’s Historical Collection at the University of Sydney Business School. He will be greatly missed. To dear Lida and family, I am sorry I cannot be here today to help you farewell Gary. I am so sad to hear that he has gone and wanted to let you know that I will always be grateful for his kindness to me. I met Gary in 2015 in Brisbane. I had written to him telling him that I was researching co-op law for my PhD. He happened to be visiting Brisbane and we arranged to meet and we spent the afternoon in a Brisbane pub, discussing all things co-operative. I quickly realised how fortunate I was to have met Gary, he was a great raconteur with an enormous depth of knowledge about the history of the co-operative movement in Australia and the generosity to share his work with others. He gave me a signed copy of A Middle Way, which I cherish, and he also lent me the original transcript of his thesis for his Bachelor of Letters at ANU on Community Settlement and the 1924 Co-operation Act. I confess I still have the transcript but will return it to the family shortly. I continued to correspond with Gary and was always delighted to catch up at co-operative conferences and events. I regarded him as a mentor and friend and I will miss his counsel and encouraging support. I would also like extend apologies on behalf of my colleague Sidsel Grimstad who is in Norway at the moment. Sidsel has been the driving force behind the Graduate Certificate program on Co-operative Management and Organisation. I know she has been a big fan of Gary and his work and a number of his papers are included in the curriculum. She recently mentioned that in a major assessment task for one of the courses, Gary’s paper, The Democracy Principle was extensively quoted by students, so it is wonderful that a new generation of co-operators will discover his work. He is a legend of the Australian co-operative movement and I know his contribution will continue to inform academics, teachers and practitioners. We are very grateful to have benefitted from his knowledge and passion for co-operatives. Ann Apps Lecturer, Newcastle Law School. I didn’t know Dr Lewis personally but I have his book, The Democracy Principle, and I treasure it. I met Gary briefly at the Senate inquiry (into cooperatives and mutuals) hearing and he was a lively and knowledgeable man who immediately gained the respect of those who heard him speak – very impressive. Gary Lewis won’t be forgotten. He was a friend and inspiration to many within the co-operative and mutualist movements. His books will live after him, as eloquent testimonies to the thoroughness of his research, the rigour of the analysis and the clarity of the conclusions. I valued in particular his ‘A Middle-Way: Rochdale Co-operatives in New South Wales 1859-1986’. I was in awe of the self-discipline that enabled him to deliver on time and in the face of a seemingly impossible deadline his ‘People before Profit: The Credit Movement in Australia’. His studies of individual credit unions and other co-operatives is a resource for which researchers following in his footsteps will have cause to be grateful. And where now to look for the ready smile and infectious laugh that enlivened so many conversations?